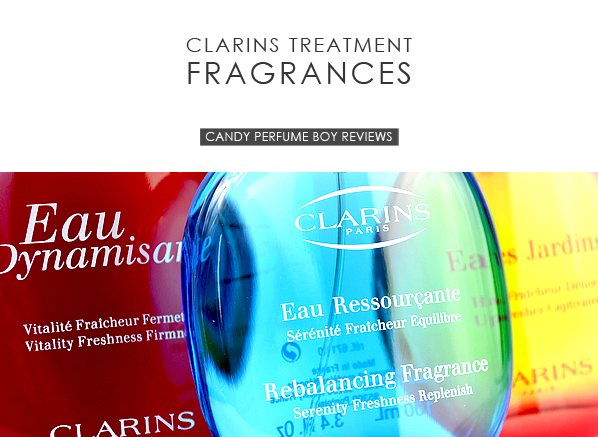 This week’s Escentual post is a review of the three Treatment Fragrances from Clarins – Eau Dynamisante, Eau Ressourçante and Eau des Jardins. Between the three of them they make for a wonderful antidote for the warm, humid summer days, cutting through the heat and treating the skin at the same time. Click the image above to read the review and feel free to leave a comment whilst you’re there letting me know your thoughts/favourites! Image via Escentual.com. I post for Escentual as their Fragrance Expert/Blogger. Posted in Article, Clarins, Escentual and tagged Clarins, Escentual. Bookmark the permalink.